SANTA ROSA, Calif., January 11, 2019 – First Responders Resiliency, Inc., a nonprofit dedicated to training first responders to cope with the emotional trauma of their job, is pleased to announce their second training conference in Sonoma, Calif. at Westerbeke Ranch. The conference starts tomorrow, on Jan. 12, and ends on Jan. 14. The training session is completely subscribed. 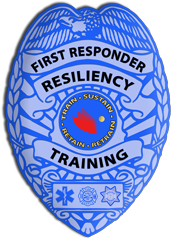 Learn more at https://resiliencytrainingcenter.com and you may contact First Responders Resiliency by email at [email protected] if desired.